Summer is about to step in. Sunnier days are going to stay. As sleepy flowers step out of their buds to be in full bloom, it is time to celebrate all things sunny and bright. 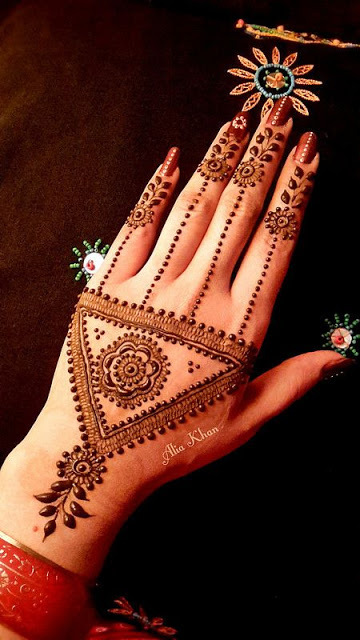 From fiery colors to feisty makeup ideas you also might want to decorate your hands in summer inspired mehendi designs, when you can flaunt any of these mehendi tattoos in all its glory. So what is all there that can be used as summer designs? 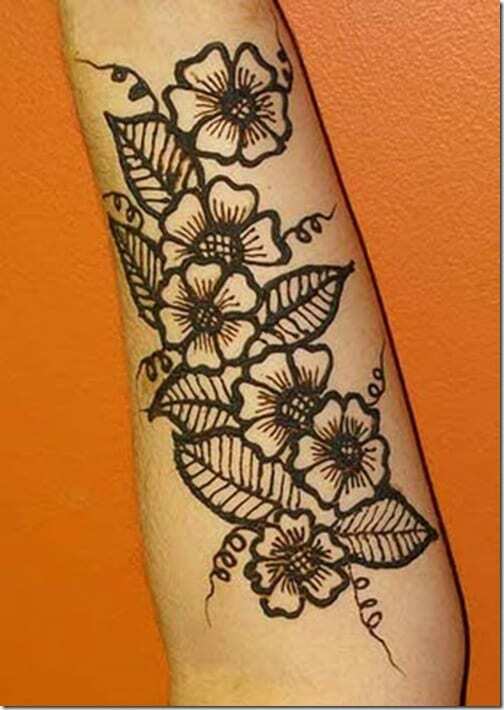 Floral patterns, peacock motifs, mango leaves (summer is incomplete without them, remember! 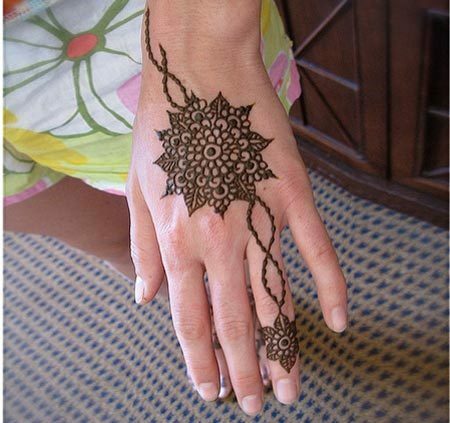 ), rose motifs, Arabic and Moroccan designs, there is a whole lot of artistic designs that can be tried. 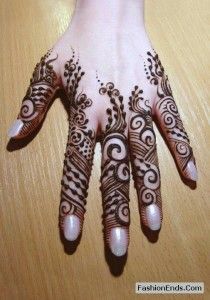 These will definitely look good as the mehendi designs will leave its dark color behind when it leaves your hand and feet, leaving in its wake, fine mehendi artwork for everyone to admire. Floral patterns can be many. 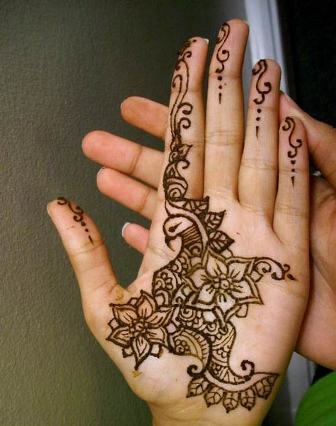 From small intricate dotted flowers, to simple big flowers at the center of the hand with leaves and stems flowing out. 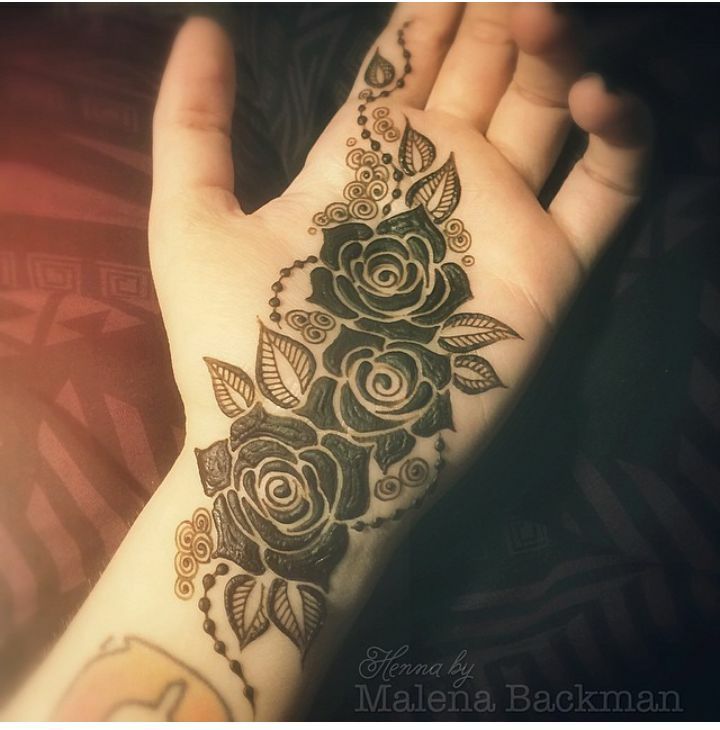 A single big rose alongside the back of the hand with vines following above and below is definitely an eye-catcher. 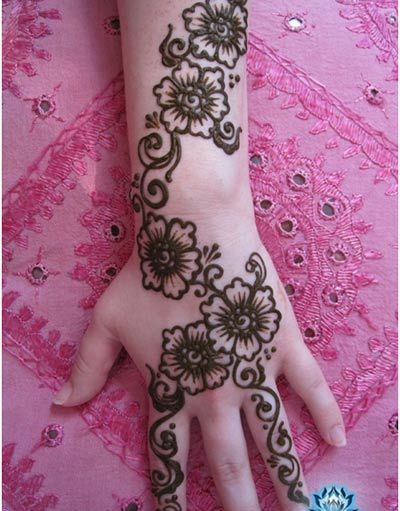 You can also try a web of roses flowing all along your palm and wrist with tiny vines following. 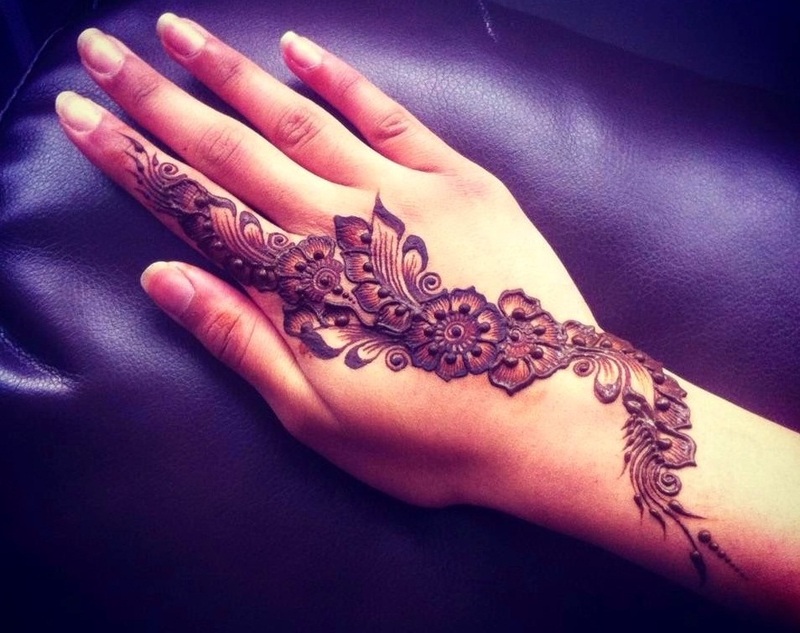 It surely gives a gorgeous look for any party that you might want to attend this summer. 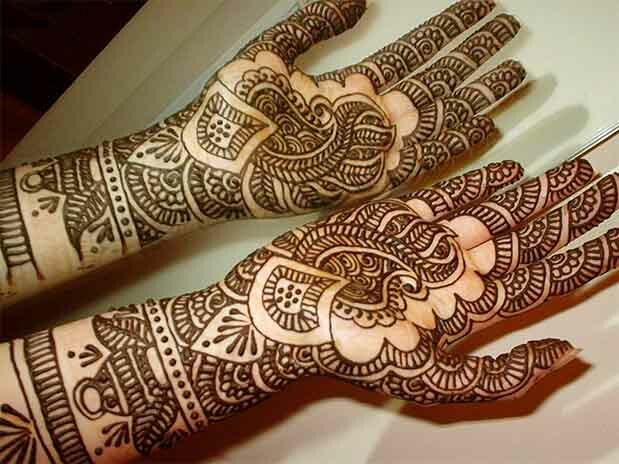 Peacock motifs are again an all time favorite. 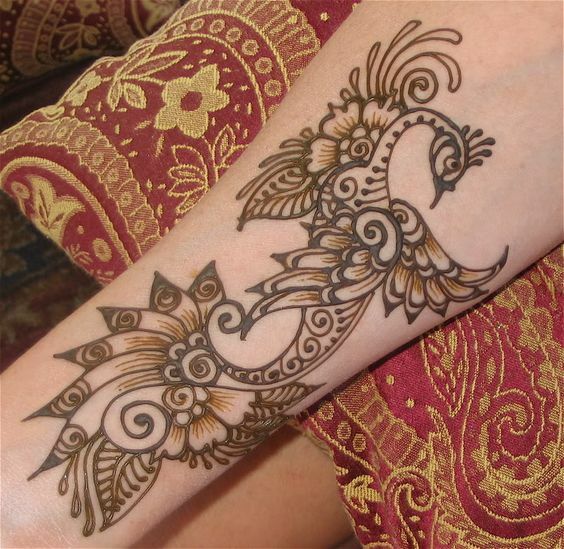 Just one peacock as a central motif with floral patterns following looks extremely innovative and attractive. You don’t have to fill up your entire palm. 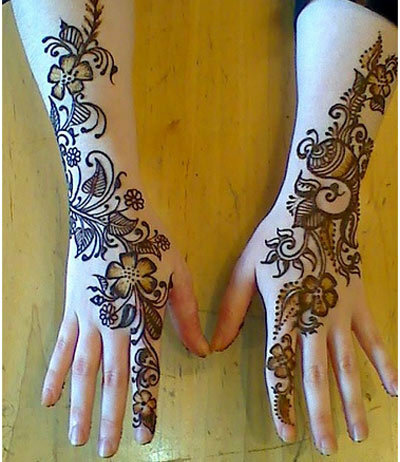 Just starting from the corner of one bottom going up diagonally opposite till the bottom of the fingers, just about completes the design. 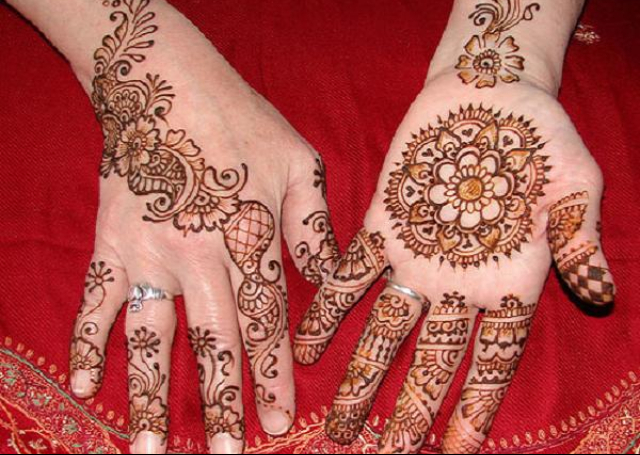 You can leave the fingers bare. 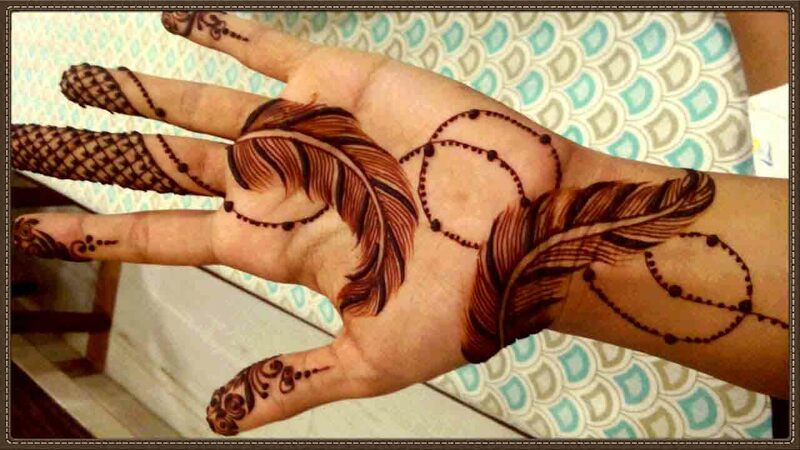 Instead of a peacock you can also use peacock feathers as the main motif all over the hand. Mango leaves are symbolic of the summer season. 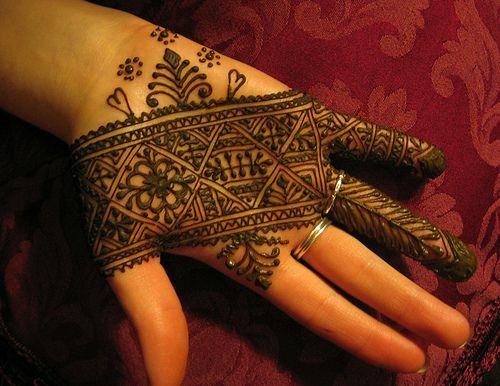 Two mango leaves placed side by side with a netted pattern looks quite elegant. The play of dots alongside the leaves adds to the attraction. 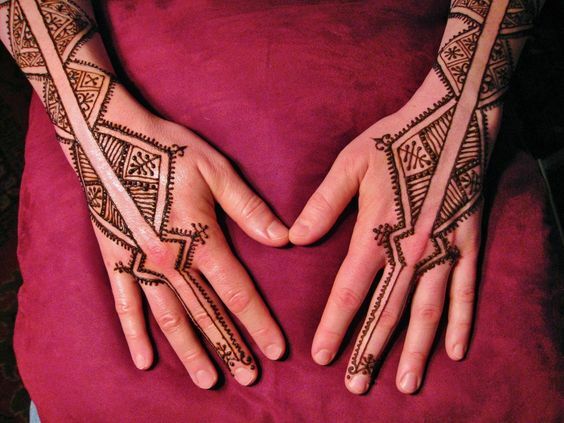 Arabic and Moroccan designs are another all-time favorite. 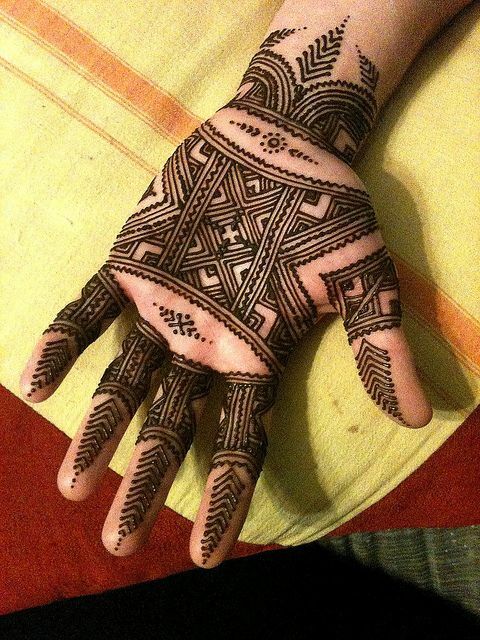 Arabic designs for its shading and play of thin and thick lines, and Moroccan mehendi designs for its geometric patterns. 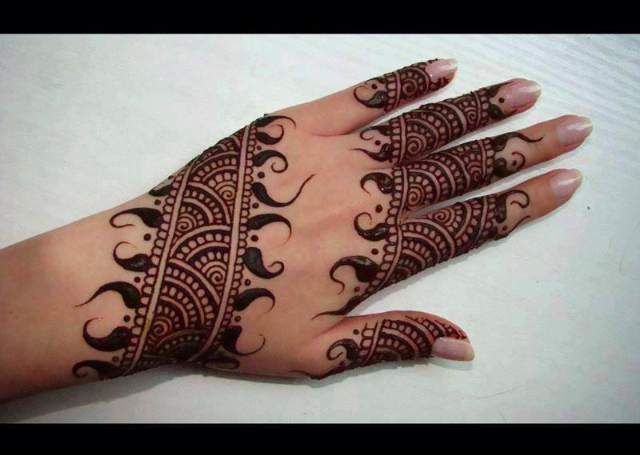 Arabic designs have a different appeal and charm. 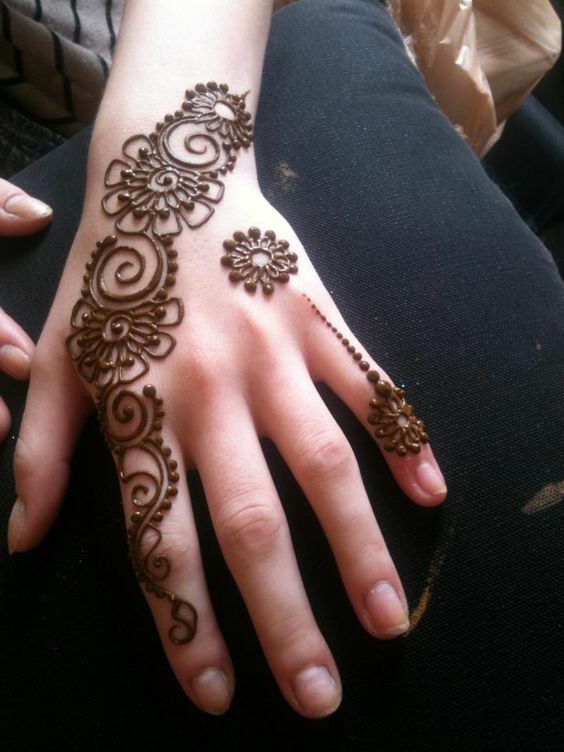 For the summers, you can try just the simple designs on the palm, wrist and fingers. 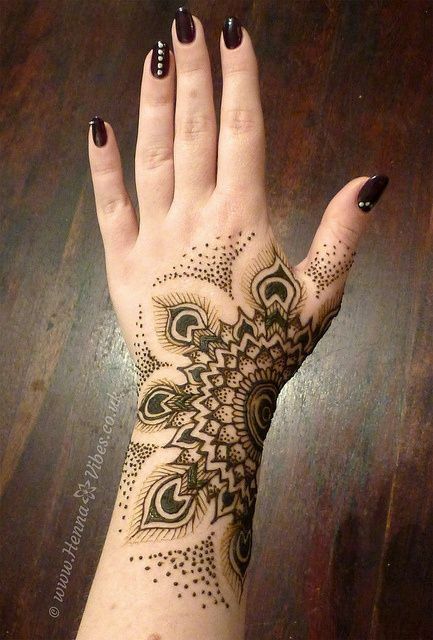 The hypnotizing flow of the patterns is definitely going to make people take a second look at your hands. 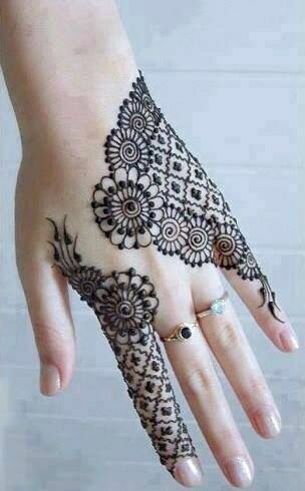 Moroccan designs are more contemporary and they look very trendy and unique. 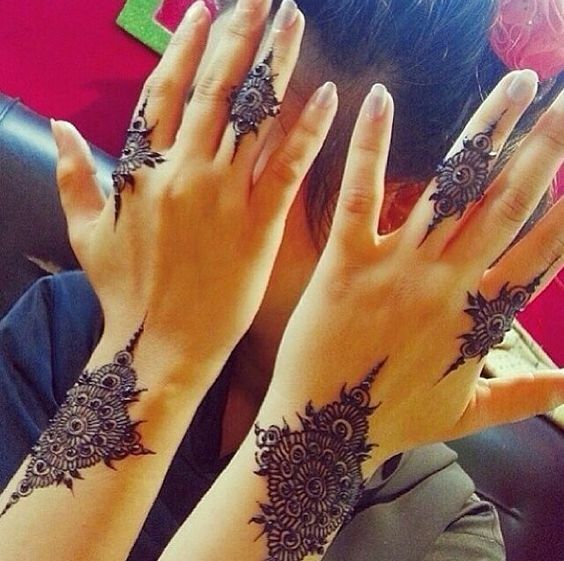 If you want to try something different this season, then go for the elegant and minimal Moroccan designs as they are simple and can be tried on any occasions. They also look the best with western outfits.